To facilitate the service on a global basis, and to ensure the shortest time to mobilization, OSRL has signed ‘call-off agreements' with a number of third-party UAV providers around the world. 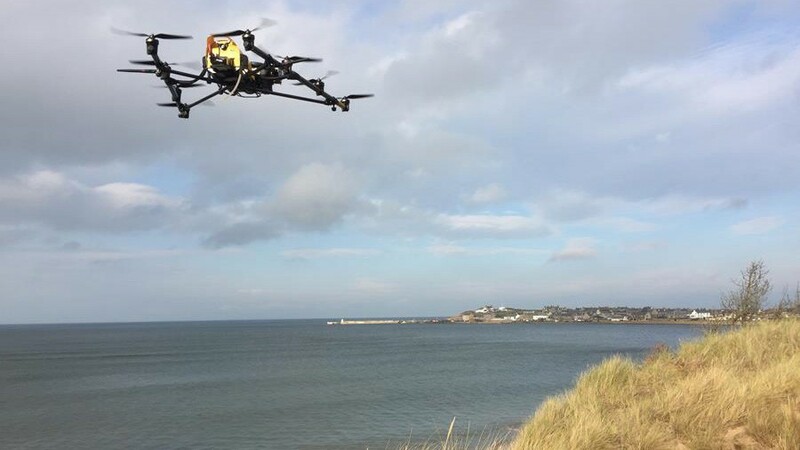 Oil Spill Response Ltd (OSRL) has expanded its member offer with the launch of an Unmanned Aerial Vehicle (UAV) service. The new service aims to enhance preparedness and response capabilities to better support members' needs in the event of a spill. To facilitate the service on a global basis, and to ensure the shortest time to mobilization, OSRL has signed ‘call-off agreements' with a number of third-party UAV providers around the world. Launch partners for the service include Bristow Aerial Solutions, Sky-Futures and Vertical Horizon Media. Each partner has been selected based on their relevant in-country experience, technical capabilities or geographical reach, and will ensure OSRL members have the most appropriate and effective solution to the specific challenge in hand, with the necessary flexibility to meet the broadest range of scenarios. James Pringle, senior response specialist for OSRL, commented on the new developments: "The UAV sector is fast moving, with both the core technology and physical equipment constantly being upgraded. Equally, around the world, applicable regulations for the safe use of UAVs differs significantly and changes regularly. In light of these challenges, we decided that the best way to integrate this capability into our offer was to create long-term partnerships with the world's leading UAV providers - ensuring that our members benefit from the most cost-effective and reactive solution." The new service can be mobilized through the OSRL duty manager, on a best endeavour basis, and will be subject to flight permissions and the meeting of regulatory requirements. "The benefits of UAVs to our members are numerous. We have already identified a range of scenarios where UAVs would provide a notable advantage over existing approaches, including providing support for containment and recovery operations, shoreline surveys, post-treatment inspections or site security, to name just a few. One of the major benefits of UAVs relates to creating HSE advantages and cost efficiencies within almost every area of operation. For example, if you are conducting a shoreline survey, it would typically take a team up to an hour to survey one kilometre. The UAV can scan that same area in minutes and, through its unique sensors and availability to reach difficult to access areas, provide additional information that a physical team would struggle to detect from land," Pringle added.